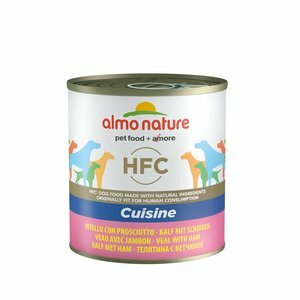 Unique natural wet dog food, prepared with 100% fresh veal with ham, without meat flour, dried meat nor flavor enhancers. 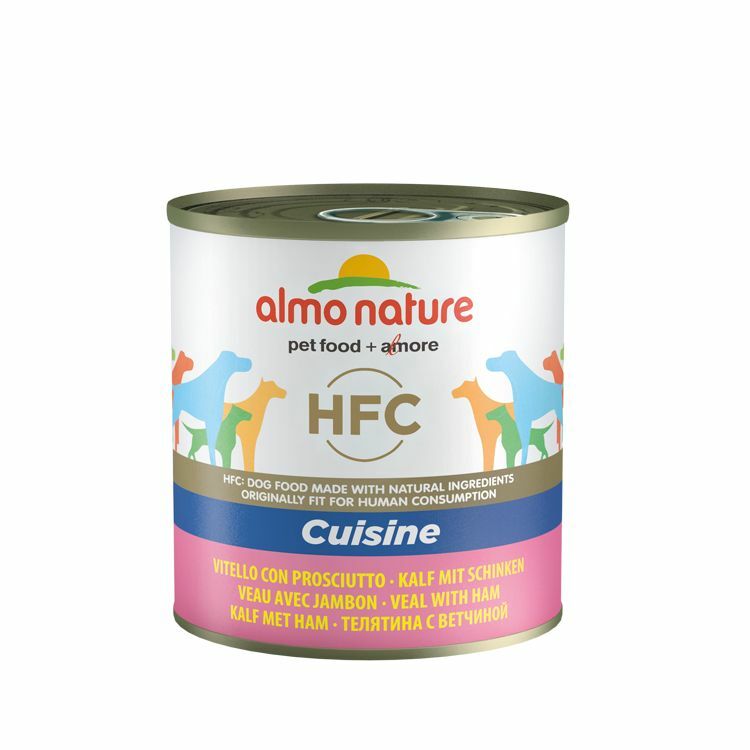 Dog Food HFC Veal with ham. The food is prepared with 100% veal with ham. Composition: Veal 50%, Ham 5%, Chicken broth 42%, Rice 3%.